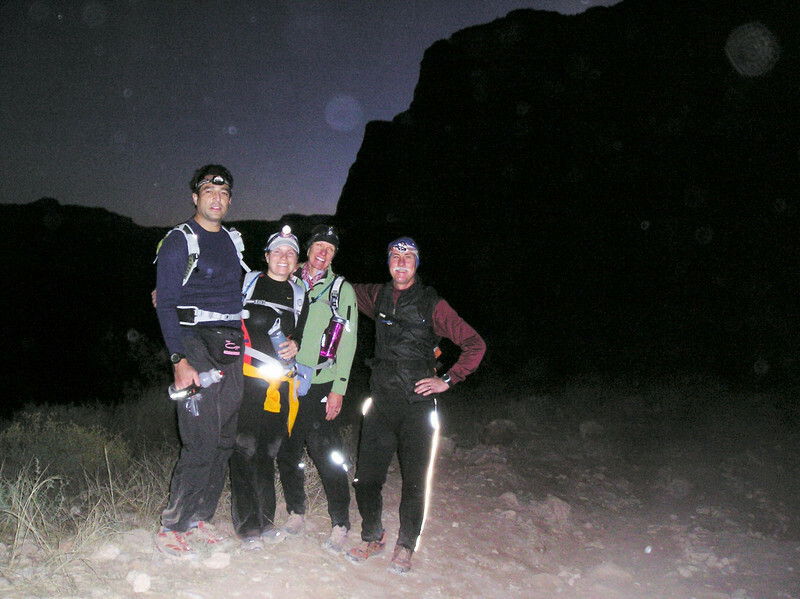 Here we are (Parker, Jess, Audrey and Brad) beginning our double crossing via the Bright Angel Trail at 4:30am. The trail’s starting elevation is 6,860 feet. The 9.5 mile trail follows a natural fault line as it enters the canyon from the South Rim and leads to Phantom Ranch located at 2,480 feet. Once we reached Phantom Ranch, we continued across the floor of the canyon before beginning our climb to the North Rim, which is at 8,803 feet. Parker and Brad completed the double crossing to the North Rim. Jess and Audrey turned around 5 miles short of the North Rim and waited at Phantom Ranch to rejoin Parker and Brad for the hike out. We emerged from the canyon 21 hours and 40 minutes late.